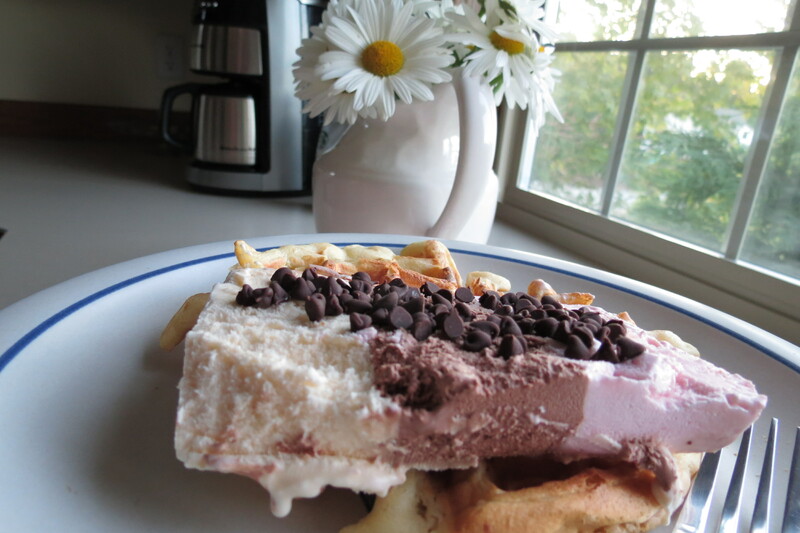 It’s this simple: slice up some ice cream (for once, not frozen yogurt! 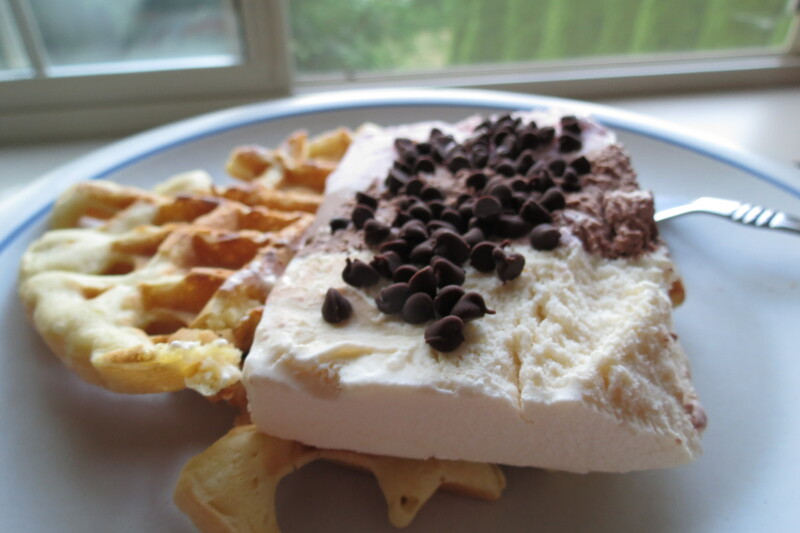 ), make some waffles, add some chocolate chips sprinkled in, and enjoy. Pure, unadulterated summer sweetness. 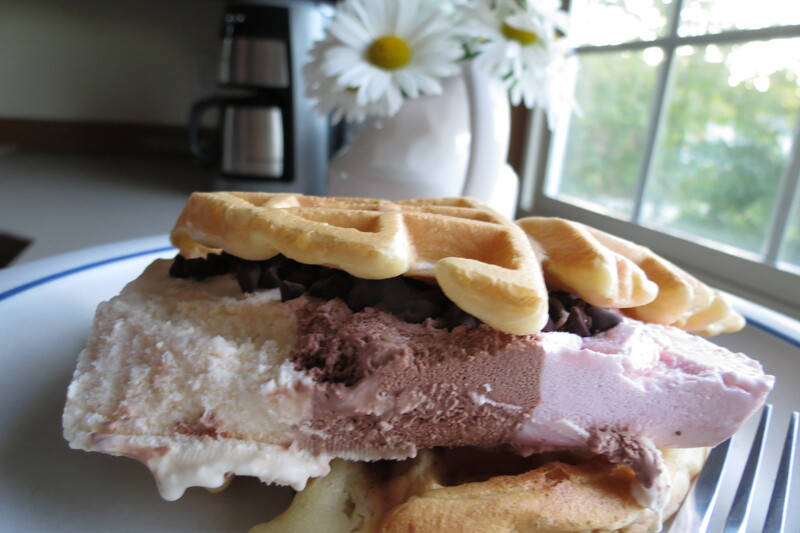 You have the mixture of cold, rich ice cream with the crunch of a homemade Belgian Waffle. It really is perfection. 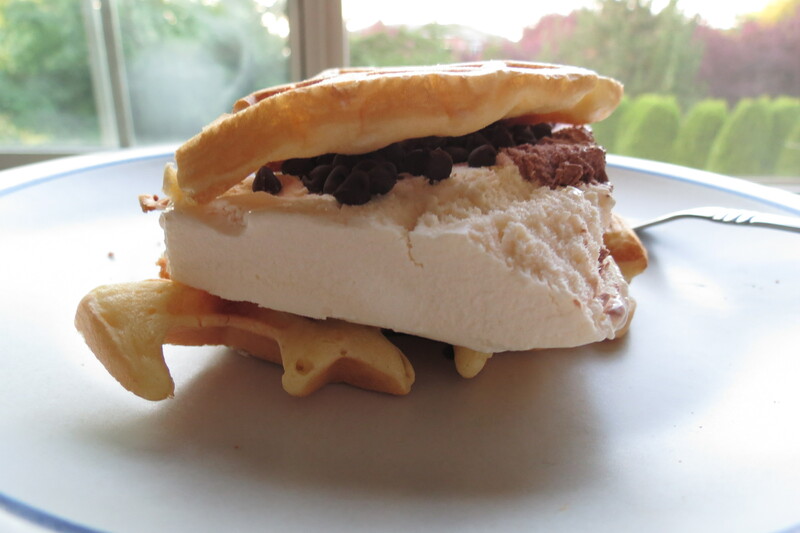 My dear, sweet, mother inspired this dessert. She told me the other day that when she was a young girl, living in NYC, she told me that on her way home from Jones Beach, in the sweltering heat, her father would take her and her assortment of Irish cousins to Woolworth’s for the favorite summer treat. 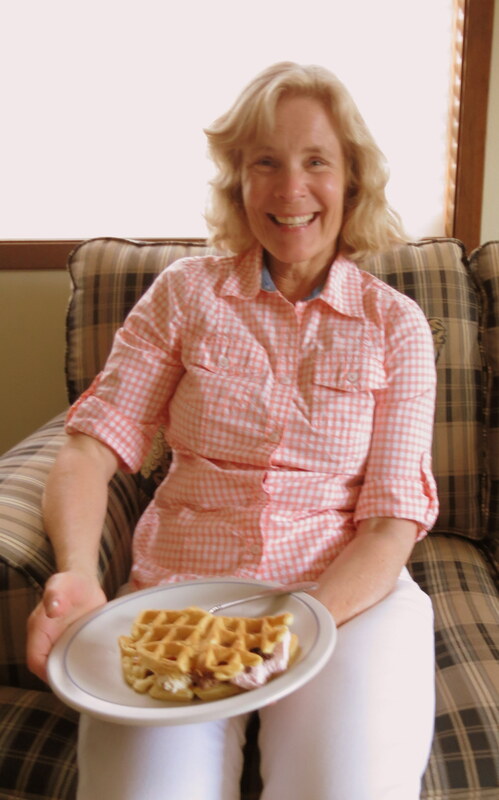 “They’d slice a thick, cold, slice of that vanilla, chocolate, and strawberry ice cream, and lay it in between two square waffles”, she said. My mind wandered to a hot, humid, New York day, one of those days that requires two showers. My mom, about 11 years old, is trudging down the sidewalk, licking the strawberry ice cream off her fingers. Actually, wait, my mother would never lick her fingers. She’d use a napkin. Anyways, she’d wipe her fingers off delicately on a Woolworth’s napkin. After it was all gone, just a distant memory in her full stomach, she’d sit on the subway, dreaming of the next weekend. Next weekend, she’d swim in the surf, build sandcastles with her family, and eat turkey sandwiches out of the cooler. Next weekend the glory that is Summer in New York would begin again. That was pretty cute and I had no idea that you would do this. I loved every bit of it! Love it! Looks and sounds delicious and refreshing! They were so good! And easy :)I lovvvveee your cherry almond crumb cake! Going to make it soon! !